Enjoy Utsunomiya gyoza in a flower shop in Tokyo. The most famous Gyoza City is Utsunomiya, where is a little far 100 km from Tokyo. 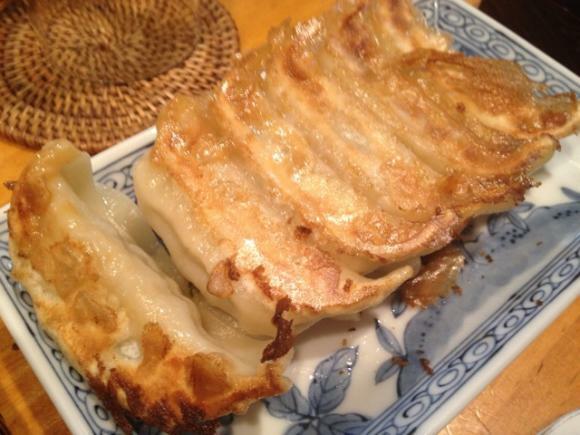 However, there is such famous Utsunomiya Gyoza Shop in Tokyo, so you can eat it there. And it is not a normal gyoza restaurant. 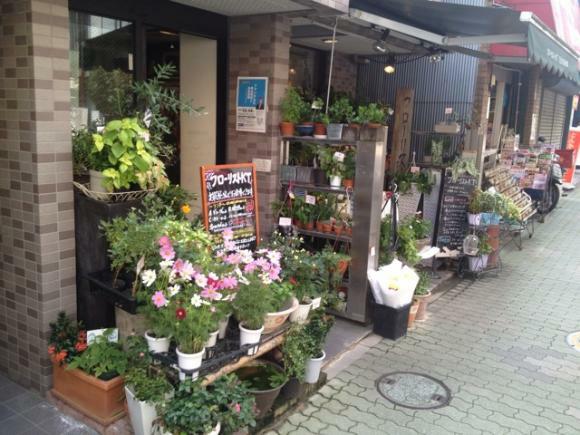 The shop which name of Florist KT is in the shopping street near the Hongo san-chome station of the Marunouchi Line for about three minutes on foot. To all appearances, it is a normal flower shop, but this is the gyoza restaurant you can eat Utsunomiya Gyoza in Tokyo. Looking around, you can find a sign for lunch menu. 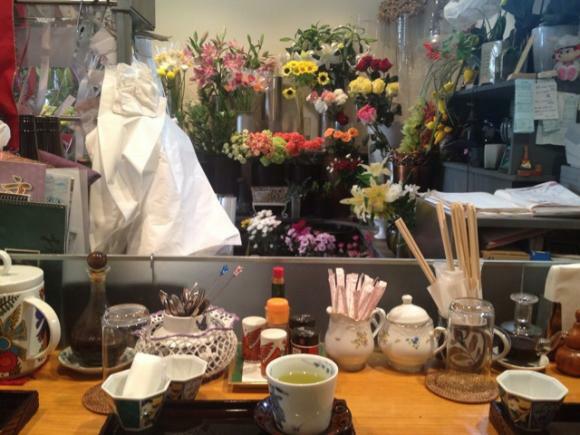 When you enter the store, you will be directed to a counter in the back, and there are flowers all over the place. It’s just like any other florist. 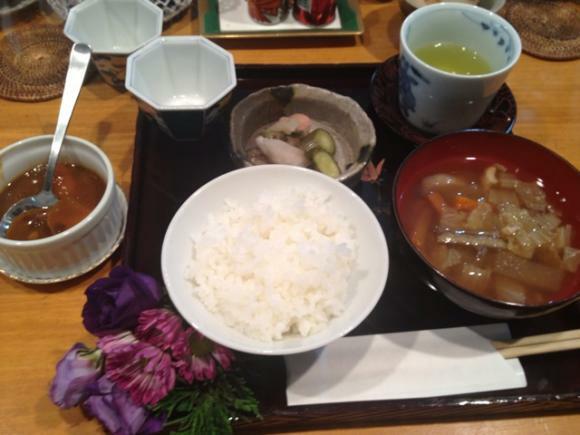 The Utsunomiya gyoza set meal with Kenchin-jiru (Japanese tofu and vegetable chowder) and pickled vegetables is recommended. The gyozas served are frozen dumplings shipped directly from Utsunomiya. The gyozas are pan-fried to get a crunch, and the texture is excellent. The filling is seasoned with ginger, and the freshness of its taste can let you eat tons of it! 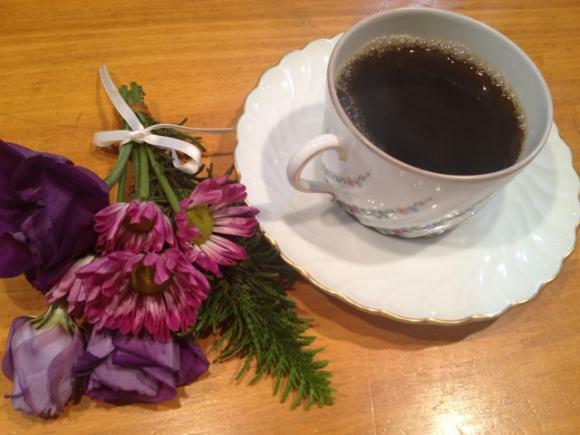 The lunch comes with a cup of coffee after meal. And you get flowers as souvenir.